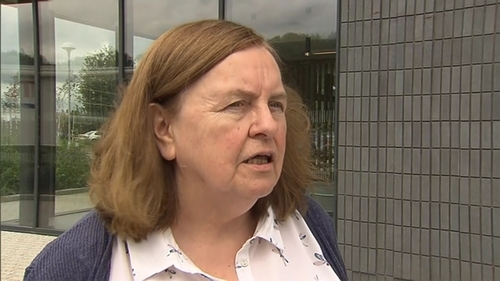 Activist and former MP Bernadette McAliskey has called for Northern Ireland's suspended parliament to be "bulldozed". She criticised what she said were inadequate political efforts at Stormont to enshrine human rights and said people were benefiting from racism. Ms McAliskey became the youngest ever MP in Mid-Ulster in 1969 and has devoted much of her life to combating exclusion and helping minorities in Co Tyrone. She addressed a conference marking the first civil rights march 50 years ago from Coalisland to Dungannon. "We are on a hiding to nothing changing racism and sectarianism. "I’ve run out of patience with that house on the hill. We deserve better and we should bulldoze the place." Stormont has been suspended for months in a row between Sinn Féin and the DUP over identity issues like the Irish language. In the 1960s, Ms McAliskey was a leading figure in the student civil rights movement, which drew inspiration from similar action in the US. The Northern Ireland Civil Rights Association highlighted discrimination against Catholics over issues like jobs and housing and sought voting rights for all. Many unionists felt it aimed to create a united Ireland. Ms McAliskey said racism and sectarianism were like rapidly spreading ragweed. "If you take your eye off them in any time or place or generation they will reassert themselves, every single day." She said people do not understand racism in the way they do sectarianism. "We are the victims of sectarianism, the whole community, and we are the beneficiaries of racism. "We have to change how we view the past, not simply how we view the present or the future, or we don't understand the need to fundamentally change." She said legislation addressing racism is not enforced properly and claimed Stormont had treated the Human Rights Commission with "abject disrespect" and failed to create a Northern Ireland Human Rights Act. "We are fundamentally racist. We think we know a great deal of history and we know none." A march is planned from Coalisland to Dungannon this afternoon retracing the route of the original parade of the civil rights era amid protests about unionist discrimination in the allocation of housing. It was a reaction to the earmarking of Dungannon public housing to a single Protestant woman with less housing need than many Catholic families on the waiting list.